The state claims that the newly revised executive order is “infected with the same legal problems” as the original. 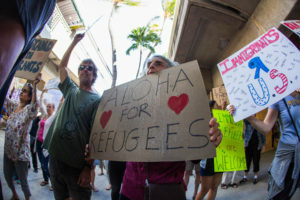 Hawaii has filed for an immediate injunction against President Donald Trump’s executive order on immigration, becoming the first state in the country to wage a legal fight over the newly revised travel ban. In a 40-page amended complaint, the Hawaii Department of the Attorney General argues that the new order, if allowed to take effect, will “immediately threaten grave harm” to the state and its co-plaintiff, Ismail Elshikh, who is the imam of the Muslim Association of Hawaii. The attorney general’s office also filed a motion for a temporary restraining order, asking U.S. District Court Judge Derrick Watson to block the travel ban from taking effect March 16. 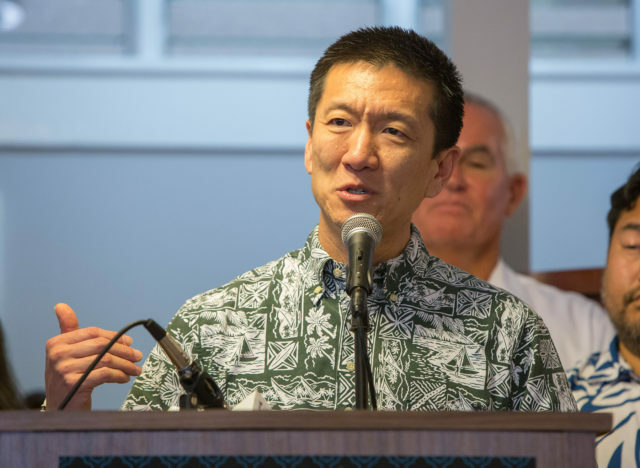 Hawaii Attorney General Doug Chin, who spoke Tuesday at a gathering of religious and community organizations at the Muslim Association of Hawaii, is spearheading the state’s effort to block President Donald Trump’s new executive order. The new order, issued Monday, suspends all refugee resettlements and temporarily bars citizens of six Muslim-majority countries from entering the United States. Trump’s New Travel Ban Is Out But Is It Any Better? 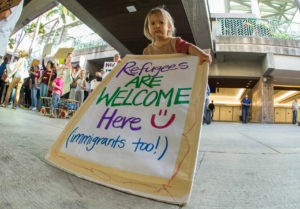 Hawaii first filed its lawsuit Feb. 3 — a week after Trump issued the original travel ban, which suspended the U.S. refugee program for 120 days, banned Syrian refugees indefinitely and barred citizens of seven Muslim-majority countries from entering the United States for 90 days. In light of the new order, however, Watson agreed Wednesday to lift his stay, allowing the state to file an amended complaint and setting the stage for an initial ruling on the case a day before the travel ban is set to take effect. Under Watson’s expedited schedule, the Trump administration has until Monday to file its opposition to the motion for a temporary restraining order. Oral arguments will follow two days later. 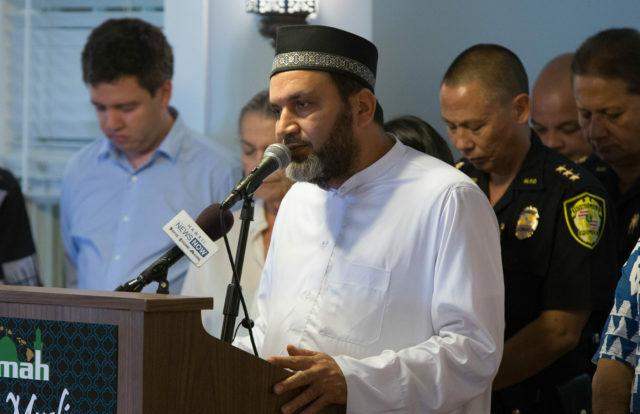 Ismail Elshikh, the imam of the Muslim Association of Hawaii, is challenging President Donald Trump’s new executive order on immigration as a co-plaintiff in Hawaii’s lawsuit. Trump issued the new order after scaling it back from the original travel ban, a move aimed at warding off legal challenges. The new order removes Iraq from the list of the banned countries and no longer singles out Syrian refugees for an indefinite ban. It also eliminates a provision in the original travel ban that gave preferential treatment to the refugee claims of religious minorities. And it exempts permanent legal residents, as well as those who already hold valid U.S. visas. In the complaint, Katyal, who served as acting solicitor general under former President Barack Obama, argues that the new order still suffers from fatal legal flaws. “This second executive order is infected with the same legal problems as the first order — undermining bedrock constitutional and statutory guarantees,” Katyal wrote. That’s a blatant violation, Katyal says, of the establishment clauses of both the federal and state constitutions. Katyal also argues that the new order amounts to discrimination based on national origin in violation of the Constitution and the Immigration and Nationality Act. “The executive order purports to protect the country from terrorism but sweeps in millions of people who have absolutely no connection to terrorism,” Katyal wrote. And the travel ban, Katyal says, will have “profound effects” on Hawaii by damaging its tourism industry, disrupting the University of Hawaii’s recruitment of students and faculty members, and preventing state residents — such as Elshikh and his family — who have relatives in the banned countries from reuniting. Already, Katyal notes, the state has seen a drop in the number of visitors from Middle Eastern countries — 278 in January, compared with 348 a year earlier. 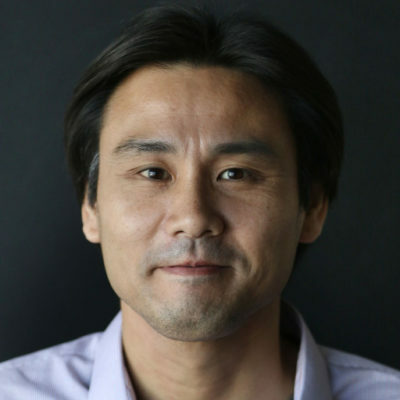 Elliott Enoki, spokesman for the U.S. Attorney’s Office in Hawaii, did not respond to Civil Beat’s request for comment.